After a weird start, the Astros start off with a victory in the series. Can they keep it up? It’ll be a long season, but if there is a team that can make it, it is the Astros. While he has been in the bullpen, Colin McCugh has come up big as a starter in a pinch. If the defending AL West champs can’t do it, well then I don’t know who. As a matter of fact, it was a very familiar face that made the difference. Yes, indeed, it was Carlos Correa feeling just like himself. In fact, his home run was the difference maker in this game. 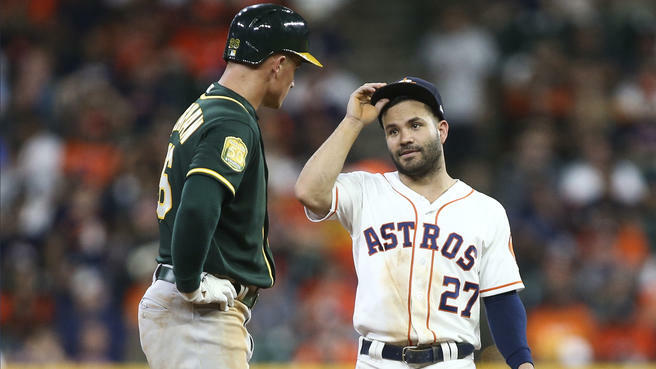 Aside from two stellar performances, the Astros put on a great team display. Helping each other on defense and providing just enough run support was key today. The Astros are no slouch in the pitching department. Today, Colin McCugh went for six innings, only giving up two runs in the process. From there the bullpen took over in great fashion. Roberto Osuna knocked in his second save of the season. A balanced offense led the way while the pitching staff held its own end of the deal. From here, this is a great start to a series that could start some real momentum. If Houston can pull off another two wins like this, they will be right back in the thick of things. At the beginning of the season, all that matters is team integration and building good habits. Whether or not the trend continues this series, a win in the first game of a three-game stretch is not bad. Especially, after the team you beat sits in second place. Any momentum that can be built right now will be better in the long run. Wade Miley vs Aaron Brooks. Game time is at 6:10 pm. Be prepared Astros fans. This might be the start of a good streak. Until next time, Orange nation. For more on Astros baseball throughout the season, stay tuned to NGSC Sports all year long.